old design, which she’d had for many years before deciding on an update. 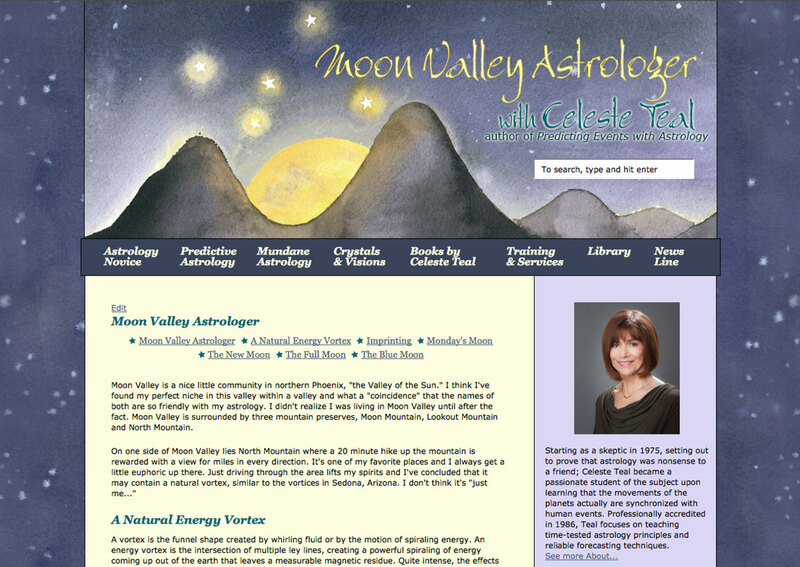 Celeste came to me as a referral from my other long-time astrologer client, and she's been wonderful to work with. 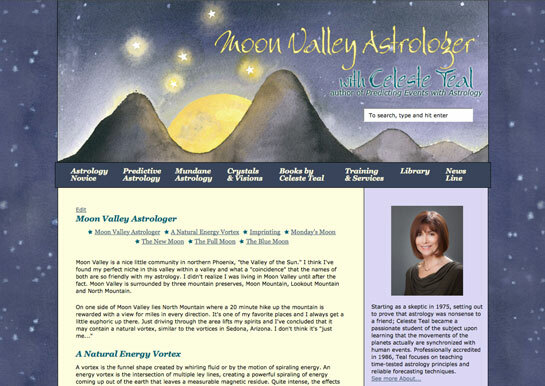 Her site is packed full of information and long-scrolling pages, so we went with a big, beautiful painting at the top to emphasize the Moon Valley that inspired her business name. We re-organized and added drop-down menus to help her clients better find and go through the wonderful info she has to offer. 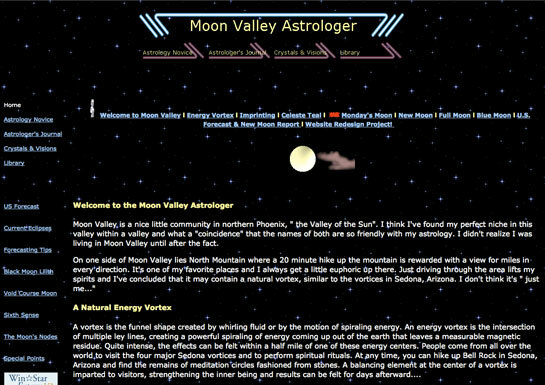 In addition, we used custom post types to make it easy to update the cyclical items like her Monday's Moon and Lunations on a schedule without ever missing a date.